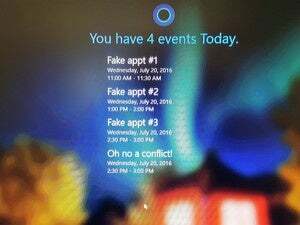 The Anniversary Update is chock-full of little tweaks that will make your experience just that much better, like photo reminders in Cortana. There are just two weeks to go until Windows 10’s Anniversary Update rolls out to a PC, tablet, or phone (don’t laugh) near you. 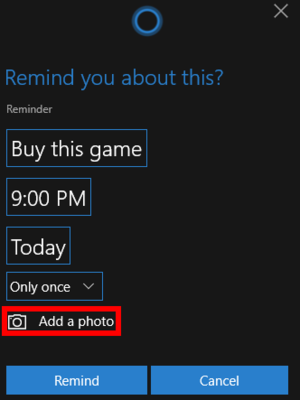 To help familiarize you with the big update here’s another nice little feature included in the new version of Windows 10: photo reminders in Cortana. 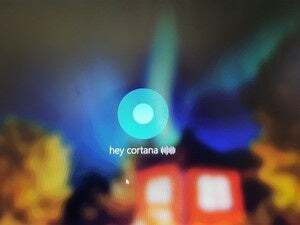 We recently touched on this in our coverage of the new Sticky Notes app, and its added Cortana smarts. 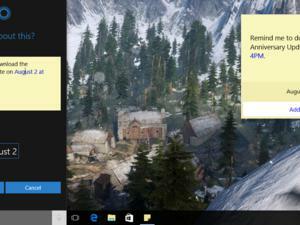 When you use Sticky Notes to create a Cortana reminder it includes a snapshot of the note you created. Cortana in the Anniversary Update will also let you add any image you like to your reminders. This may seem superfluous, but there are many ways it could come in handy. If you are using Windows 10 on a tablet or phone (hey, I heard that snicker) you could take a snap of a shopping list you wrote down with pen and paper. A picture of a wine label can help for that reminder set to go off when you get to the store. On a PC, you might take a shot of a webpage, grab a product image, or use your webcam to take a picture of a business card. 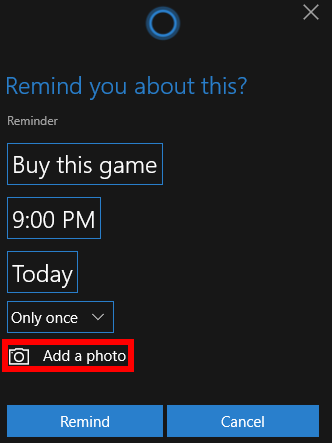 Here’s how photo reminders work on PC. 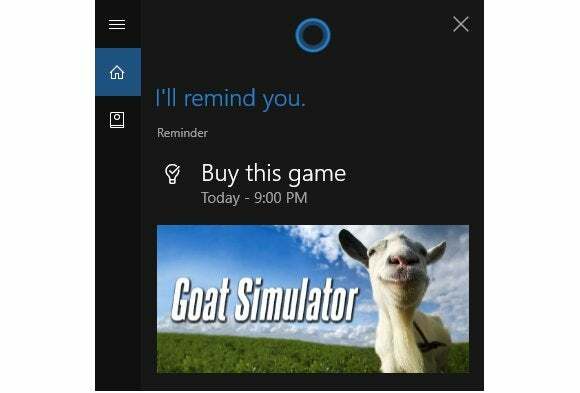 Let’s say our reminder is to buy the game Goat Simulator in a few hours from Steam. We’ll also assume that when you were perusing the Steam Store on the web you saved the game’s logo image to your PC. When the Cortana search panel pops up you’ll see the reminder filled out as usual, and below that is a clickable option that says Add a photo. Select that and then choose the Library option to pick a photo located anywhere on your hard drive. Select the image you want in File Explorer, click Open, and it will be automatically added to your reminder. Now, click Remind in Cortana to save the reminder, and you’re done.